Locations: Mt. Vernon, IL. Huntington, WV. Birmingham AL. 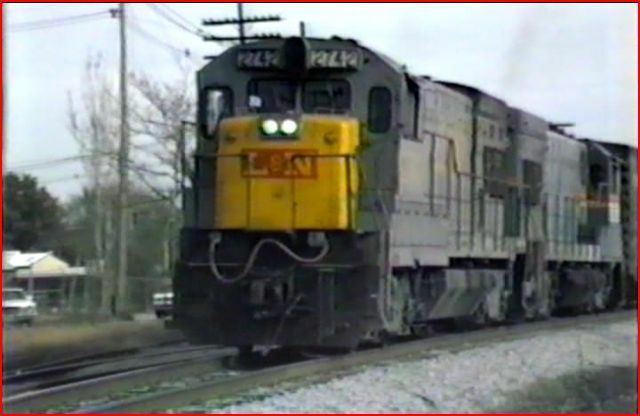 , Anchorage, KY. and more..
Diverging Clear has just released this show, that features early merger CSX. 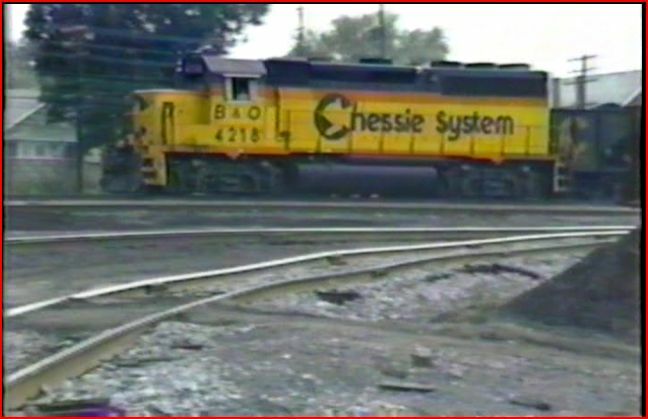 Chessie System combined with Seaboard System to create CSX. 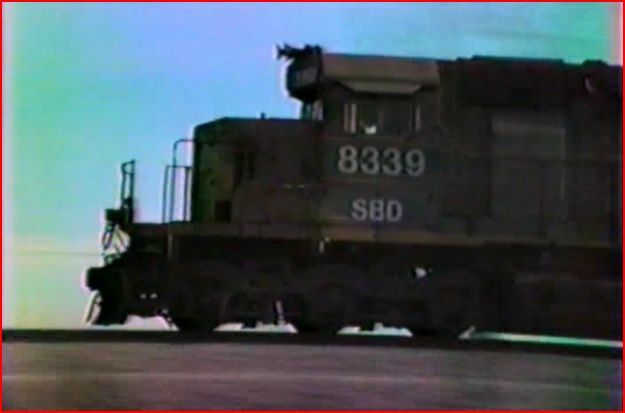 This videotape source had recorded the merged but not repainted fleet in the 1980’s. Extra predecessor railroad liveries add even more color to the locomotive fleet. Early segments have Chessie System and Seaboard System appearing and operating separately. As the years pass, many combinations, including full dress CSX schemes are seen. A wide variety of power and cabooses keep the interest level high. Time does progress, towards the end of the program, we see mainly CSX paint, and no cabooses. There is a main menu on the DVD. Chapters are accessible from the menu. The chapters are numerous. Narration is provided by Mary McPherson. Subjects covered such as: locomotive models and locations. Additional commentary as needed, the narrative is on the minimal side. Plenty of natural, environmental audio is the main soundtrack. No maps are included. It would be nice to get an idea where places such as Delafield are. Video quality is very good overall. The usual issues with aged videotape are present. Green tinting, pink skies and odd yellows are some issues. Considering the scarcity of the material, it is acceptable. Appears to be a direct tape to DVD type transfer. No digital enhancements. The imagery improves during the program. Multiple locations and varying years do add enjoyment. It is akin to a time machine. Having original paint progress to CSX renumberings and eventually full repaints, plus new CSX engines all in a single show! This is an action packed program! 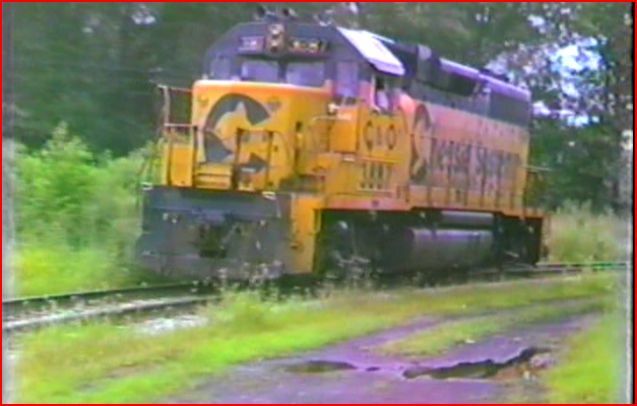 Clinchfield SD40 carries newer SBD identification. 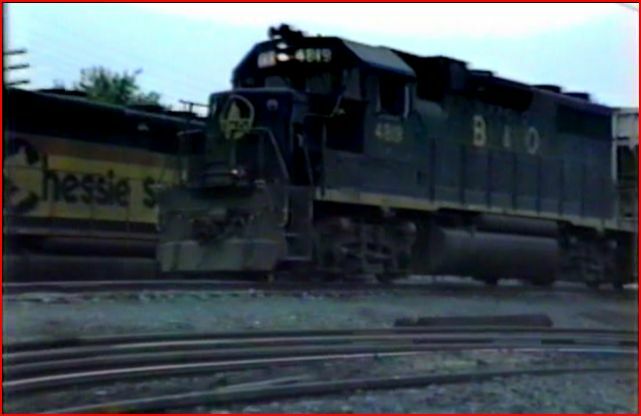 This is one of several great pacing sequences of assorted CSX trains. Shot without green vegetation, the views are excellent! 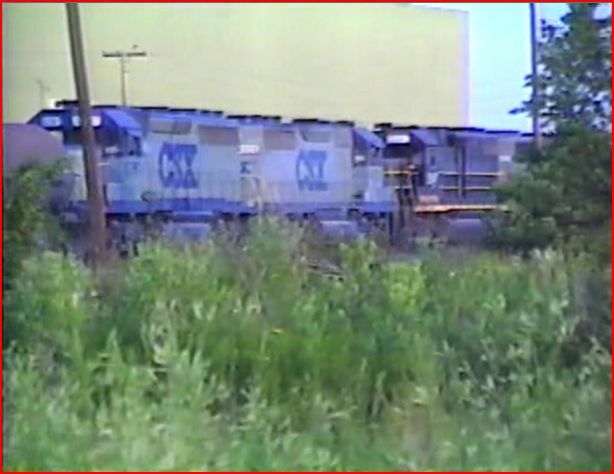 By 1988, the new CSX livery is becoming visible on the trains. 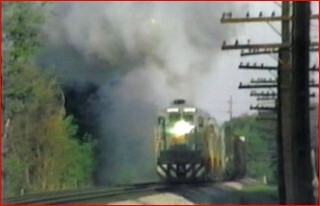 A rare GP35 is in a lash-up of mixed EMD locomotives. There is a cornucopia of predecessor roads that are sure to satisfy! Chessie System, Seaboard System, B&O, Seaboard Coast Line, Louisviile & Nashville, Clinchfield, Family Lines are all present. CSX is viewed in various incarnations. Mostly second generation power from EMD and GE. Some rebuilt engines are also in service. 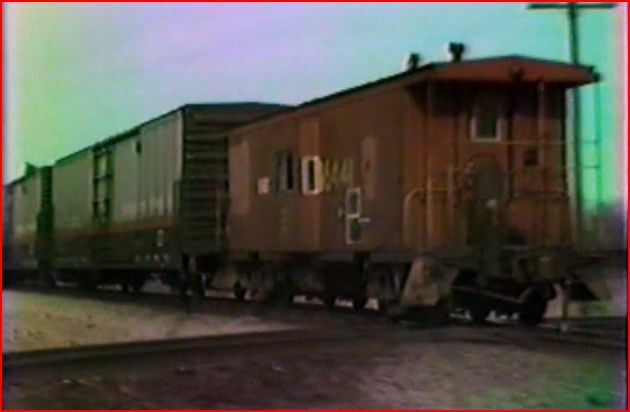 The inclusion of cabooses is another good factor in this show. They are seen in assorted types and roadnames. Freight cars of the time are also seen in the consists. This is a fun program to watch. 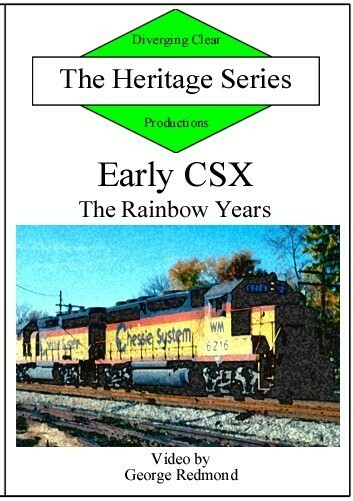 Early CSX: The Rainbow Years should make a railfan smile. Plenty of trains for the model railroader too. This is the best one yet, in the Heritage Series. Chessie, Seaboard and CSX aficionados will all enjoy this program! 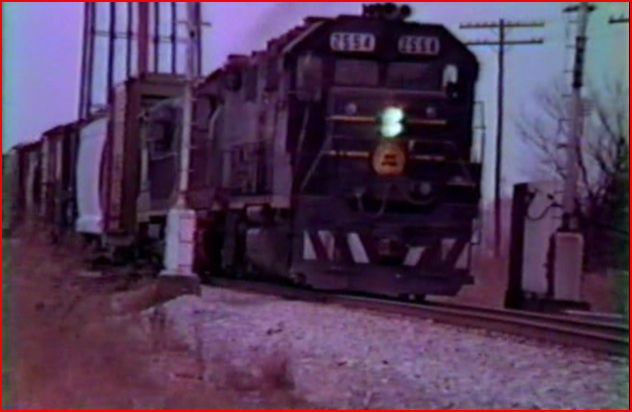 This entry was posted in ATVR Reviews, Diverging Clear Productions and tagged American Train Video Reviews, C&O, Chessie System, CSX, Railroad, Train DVD by William J. Hudson. Bookmark the permalink.